Well, well! 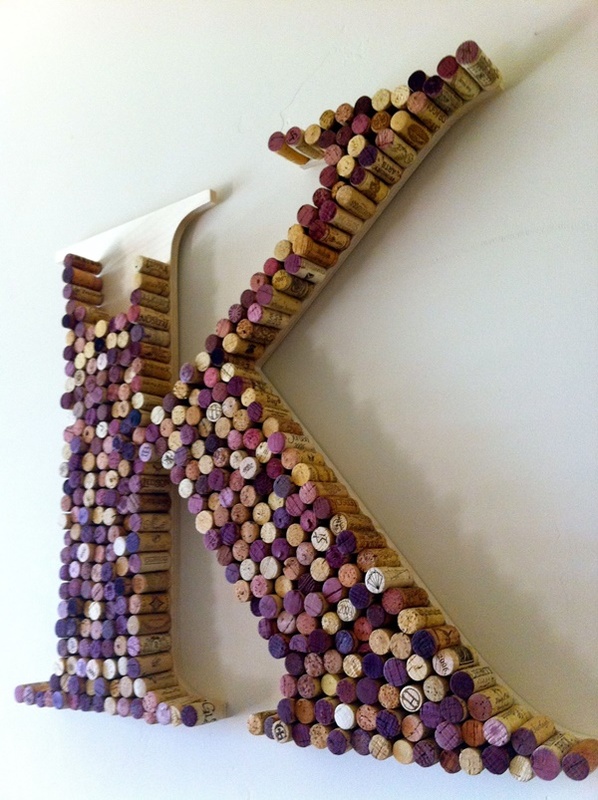 If you love wall arts and you have only wine corks at your disposal, then you do not need to worry about anything at all. 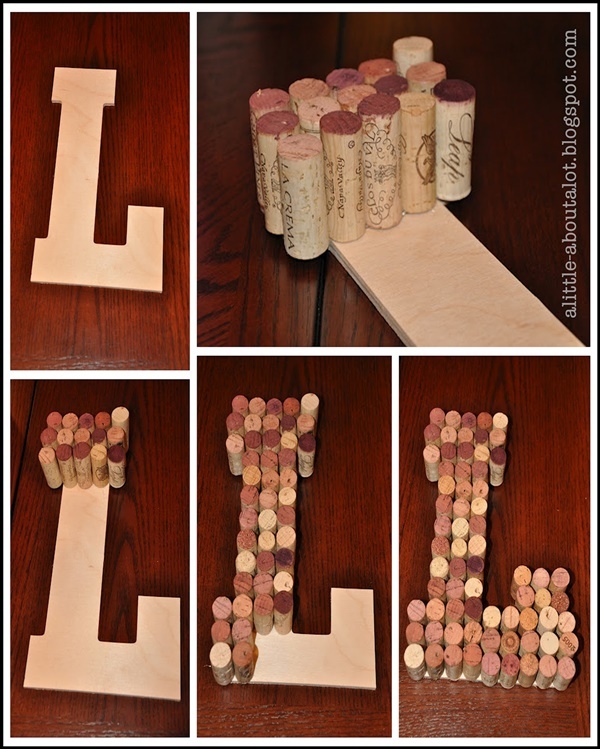 Make letters and quotes out of these corks and then use hard glue to stick it over the wall. Or, you can punch in holes and hang them on the wall. 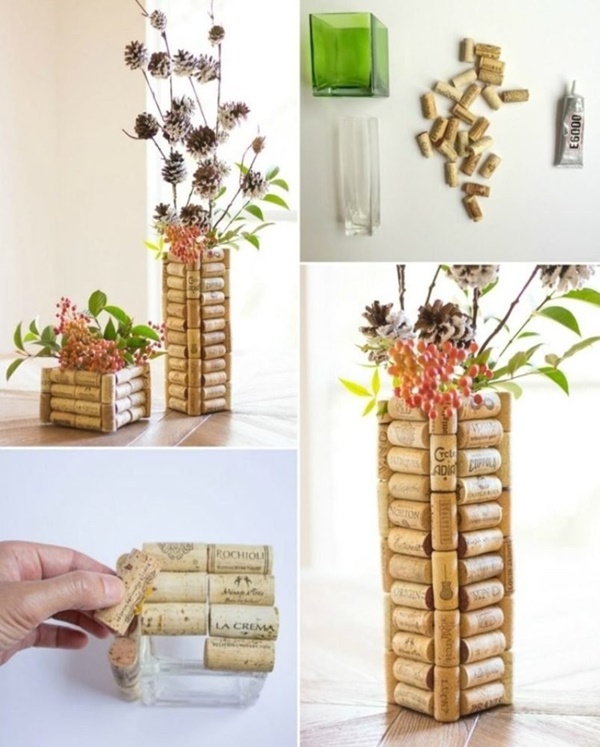 Take cardboard and make it form a flower vase shape. 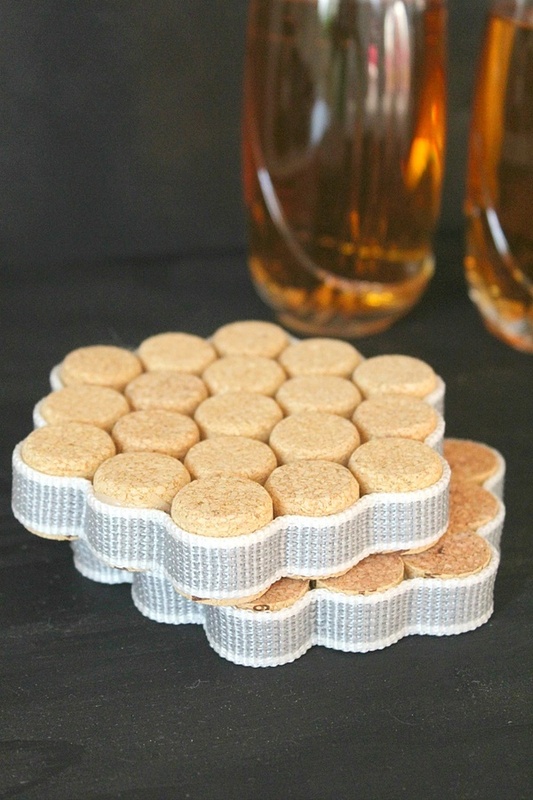 Now, cover it all up with wine corks in all patterns that you like. That’s it. 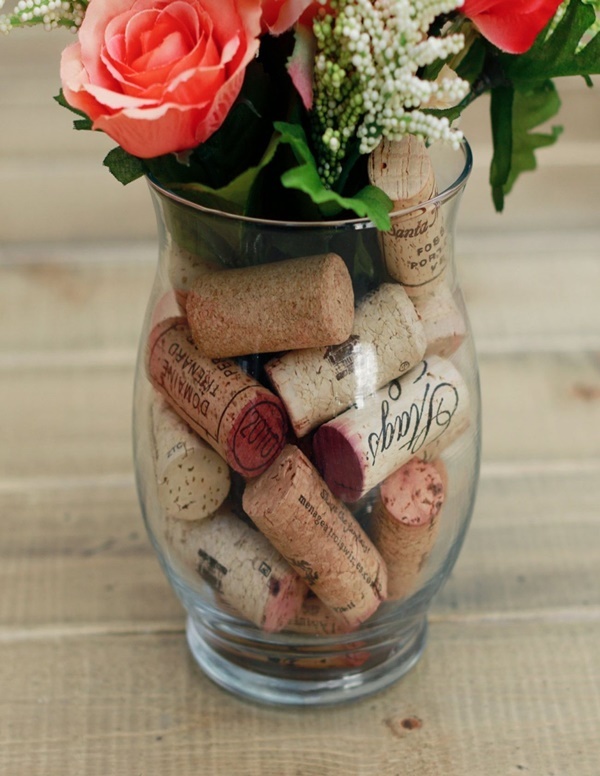 Your clever wine cork flower vase is all set. You can place a sponge at the bottom, just like other vases. 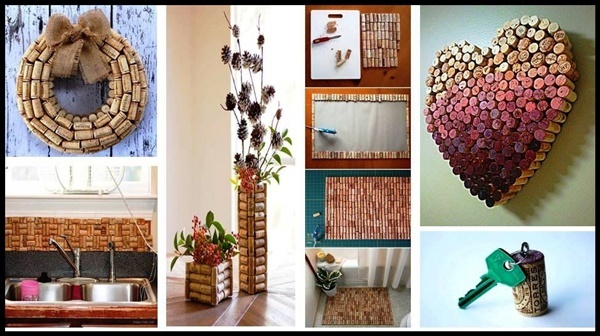 If you are looking at some out of the box and clever Wine Cork Crafts and Projects, then this is the one for you. 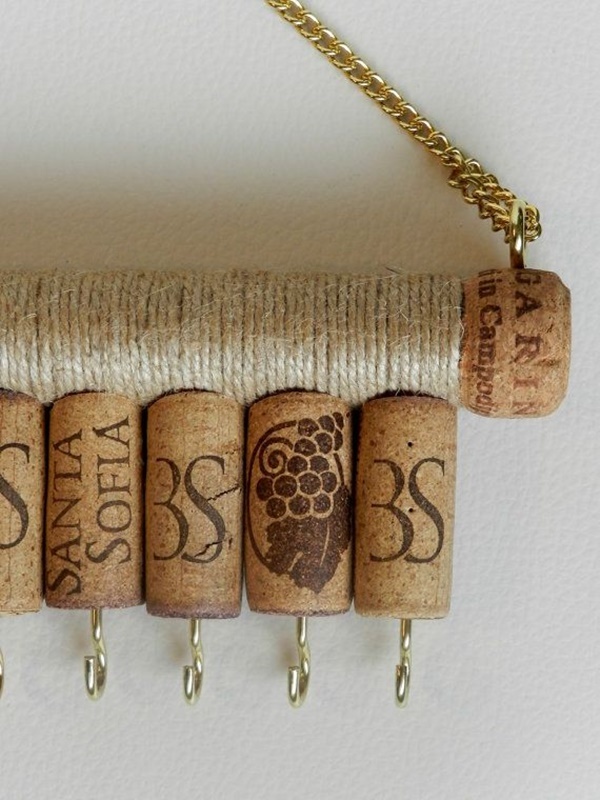 Take a plain frame and spice it up with wine corks all over. 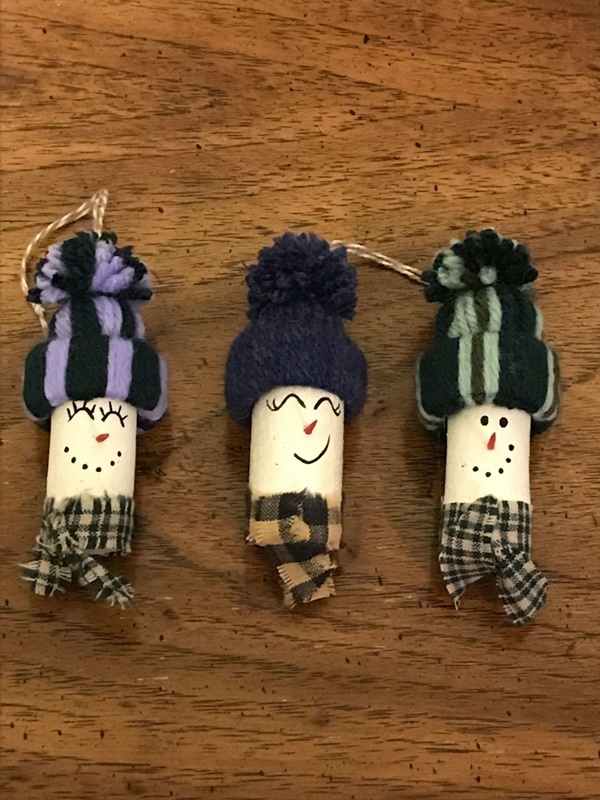 Stick them with glue and now use it as a bulletin board. You can use it to pin name placards or other messages for yourself. 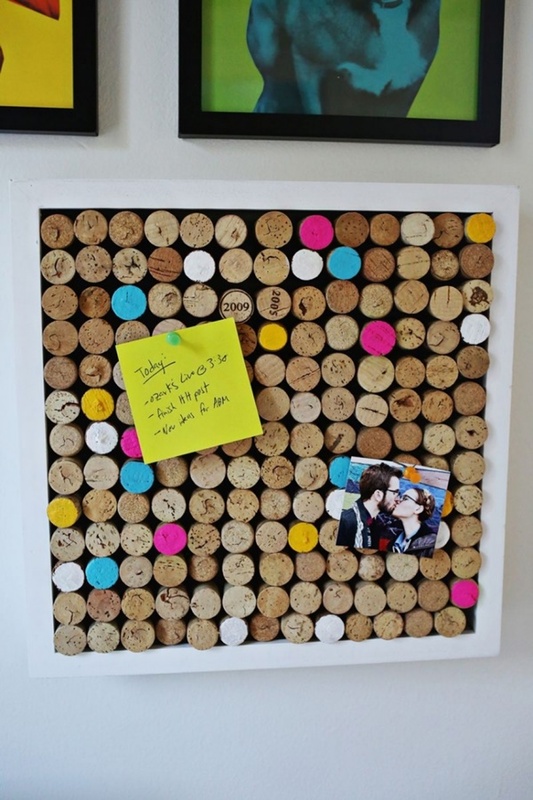 In fact, you can use chalkboards to make this board. 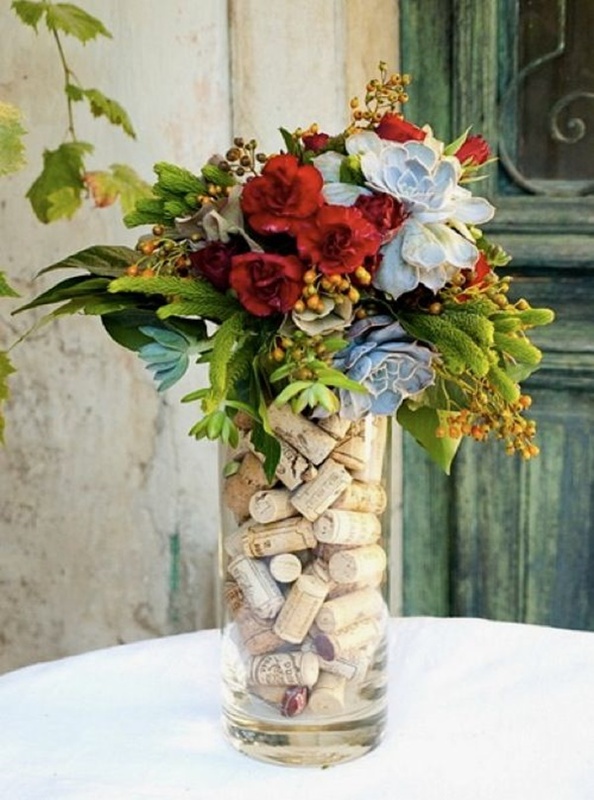 Here we will come up with various new types of Wine Bottle Art and Craft Ideas and we have collected the tutorials of some ideas for your help. 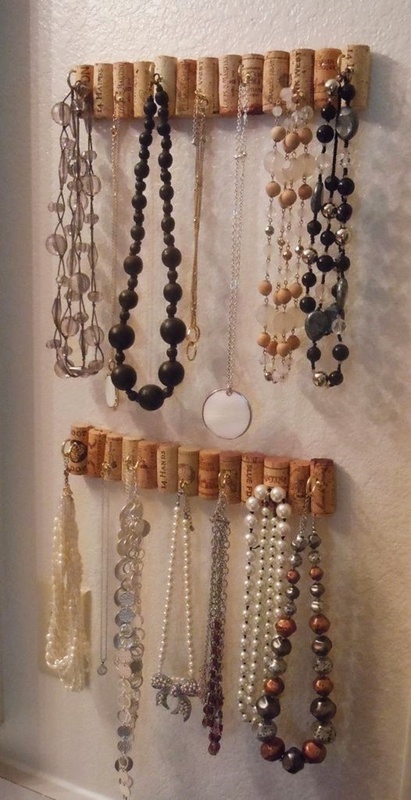 Looking for a new way to hang your keys and other important stuff? 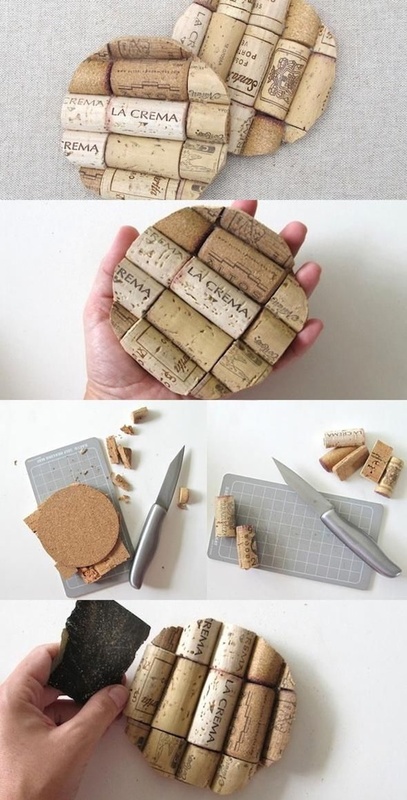 Then, why not use wine corks there? 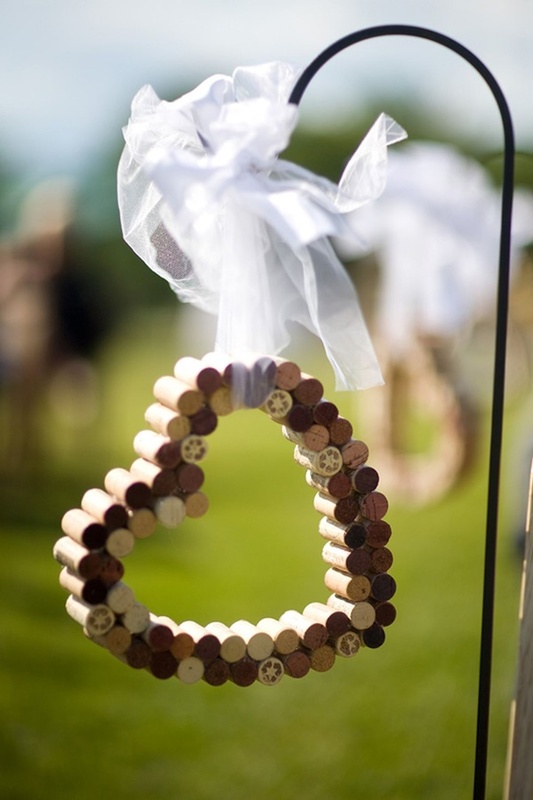 All you need to do is – place the wine cork inside a frame, and hammer in some hooks in it. Ta-da! Your hook stand is ready – use it to hang keys or use it as your accessory organizer. Your glass vase looks too boring and you wish you could do something about it? 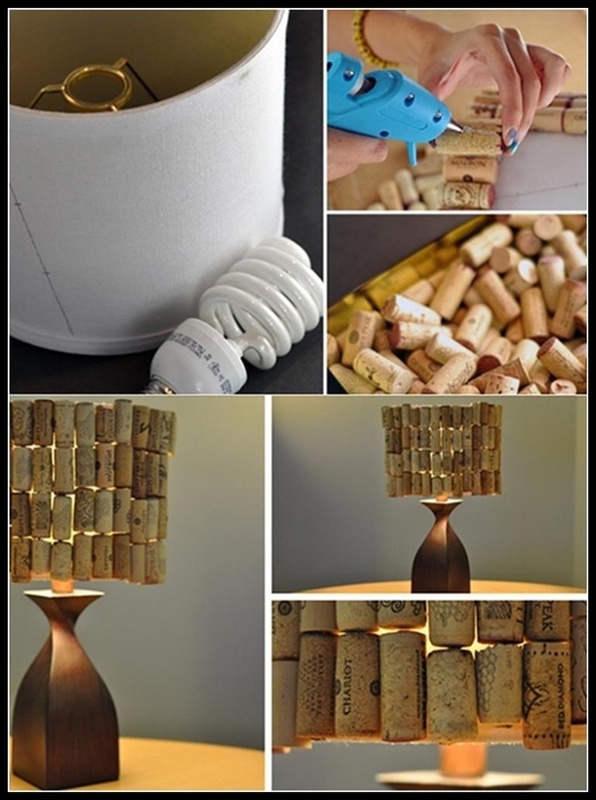 Use wine corks to fill up at least half the base of the glass bottle. 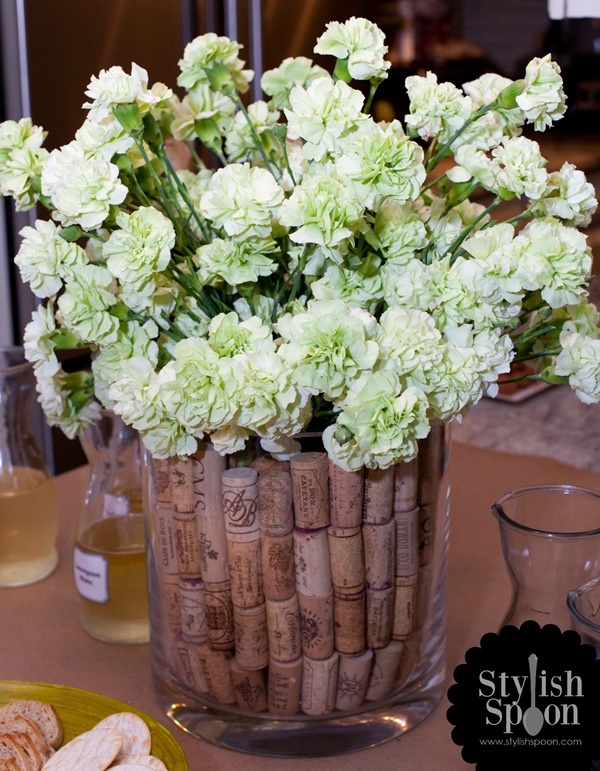 In between, fill sponges, so that when you insert the flowers, they can go in easily and stay there. 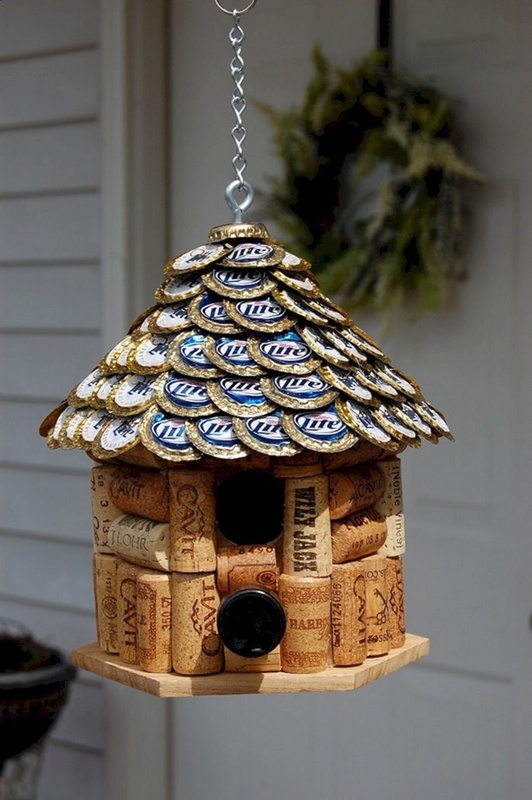 So, next time when you have a house party, don’t worry about a lot of trash because you are surely not throwing away the corks anymore! Here we have displayed Rustic BAMBOO INTERIOR DESIGNS AND CRAFTS that usher the additional texture into our homes.